Attacks on refugees and their homes remained high in 2016, Germany's Federal Criminal Police report. Interior Minister Thomas de Maiziere intends to increase deportations of people whose asylum requests are rejected. Germany's spike in attacks on refugees and their homes continued in 2016, the Federal Criminal Police Office (BKA) reports. The agency recorded 970 attacks on asylum accommodation centers and 2,396 crimes against refugees outside of the residences. The trend began in 2015, when a record number of displaced people applied for asylum in Germany. That year, authorities tallied 1,031 attacks on refugee homes, with 10 percent recorded as arsons. Assaults on people who have applied for asylum were not recorded in their own category until 2016, so there is no prior number with which to compare the nearly 2,400 crimes against refugees last year. Attacks on homes for asylum applicants decreased slightly as 2016 wore on. 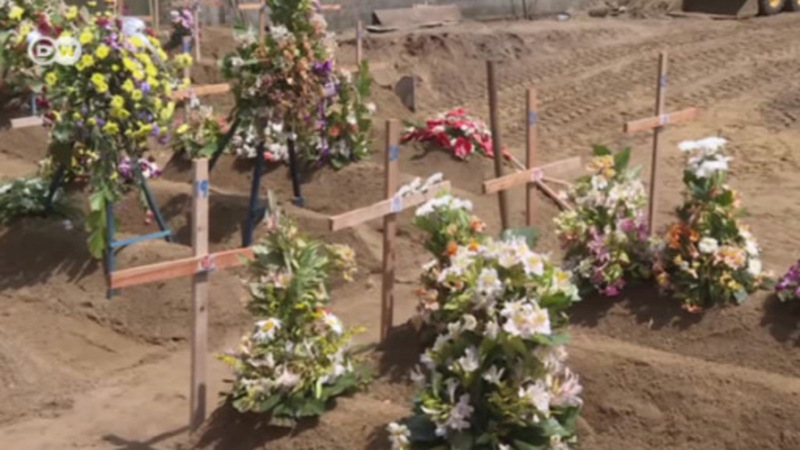 In the first quarter of the year, about 460 such crimes were recorded, but the last three months saw just 116 - or an average of roughly four per day. The Interior Ministry has warned that the number could remain high as far-right groups have grown increasingly agitated by the presence of displaced people in Germany, and racist factions form new alliances. Interior Minister Thomas de Maziere wants to increase and expedite deportations for people whose asylum applications have been rejected, the Rhein-Neckar-Zeitung reported on Friday. The government has already initiated a program to pay people denied asylum to leave voluntarily. "Just last year there were about 55,000 voluntary returnees and around 25,000 deportations," de Maiziere said. However, he added, "in consideration of the fact that we continue to have a large number of people obliged to leave, it's still not enough." "We need a national effort toward more returns," de Maiziere told the newspaper. He also called for new detention spaces, or what he termed "departure centers at airports for those for whom it is clear that they have no chance at asylum." In addition to asylum policy, EU leaders are using their Malta summit to discuss US President Donald Trump, who has energized far-right parties with a blanket, but apparently temporary, ban on refugees for the United States. Germans protested Trump's categorical prohibition on travel to the United States for citizens of seven mostly Muslim nations earlier this week. Alexander Gauland, the deputy leader of the anti-immigrant Alternative for Germany party, called Trump "a pathfinder" who has proved "that with political will you can change polices." He added that "it makes it easier for people who want to stop Islamic immigration that Trump says: 'You can do it.'" Organized racist violence has become an EU-wide threat. On Thursday, Swedish security police said they had arrested three people on suspicion of involvement in three recent bomb attacks that targeted asylum centers and a left-wing bookshop. The January 5 bombing of the asylum center badly injured one person. 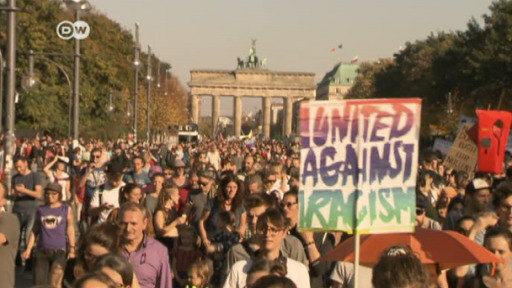 Huge crowds have turned out for an anti-racism and anti-populism march through Berlin. The event brought together a wide range of groups. The march has turned out to be one of the biggest demonstrations of its kind in Germany's post-war history.